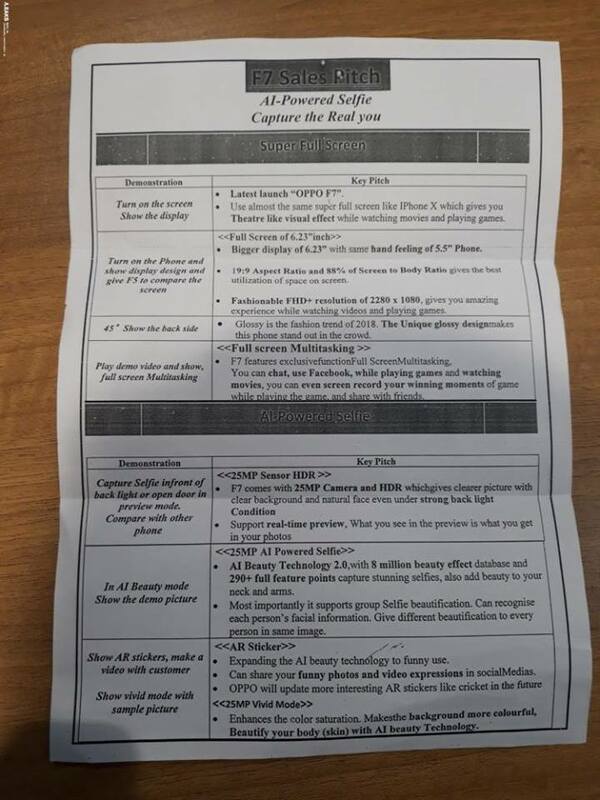 A leaked document, which was supposedly used for training promoters regarding the upcoming OPPO F7 has recently surfaced online. 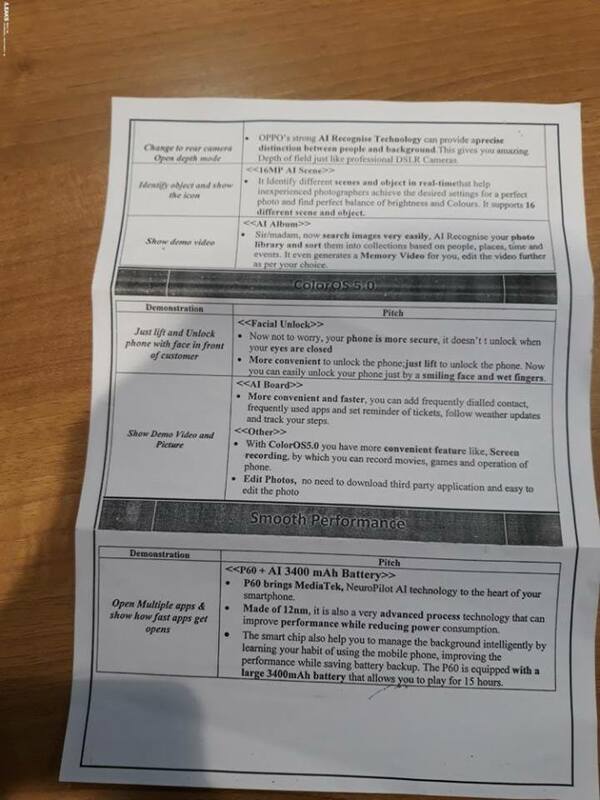 The document also revealed in full details, most of the device’s core specs. The OPPO F7 will have a 6.23-inch 19:9 display housed with FHD+ resolution, housed in a 5.5-inch frame – resulting to a screen to body ratio of 88%, and also creating a cinematic effect when playing games or watching movies. It will also have a feature called Full Screen multitasking, although we don’t know how that works. Perhaps one of the most interesting finds is that the device will run on the new AI-Focused Helio P60 SoC which basically learns how you use the phone, and making the necessary adjustments to ensure that the device performs at optimal state while being power-efficient at the same time. For optics, the OPPO F7 will sport a 25MP AI-assisted selfie camera, and will have features such as real-time preview, and group selfie beautification. Like the F5, it also scans numerous points on the face to intelligently apply beautification effects. The phone can also detect up to 16 different scenes, and adjust accordingly to deliver the most optimal shots. You’ll also be able to apply AR stickers, and utilize a new feature called Vivid Mode that uses AI Beauty Technology to enhance color saturation, improve the background color, and beautify your skin. The camera can now intelligently distinguish people and the background, resulting to a better depth of field effect. The new ColorOS 5.0 also brings a ton of new features such as lifting the phone to unlock, screen recording, and photo editing. With AI technology, searching through photos is now even faster. The OPPO F7 will pack a 3,400mAh battery that supposedly gives it up to 15 hours of uptime in a single charge. 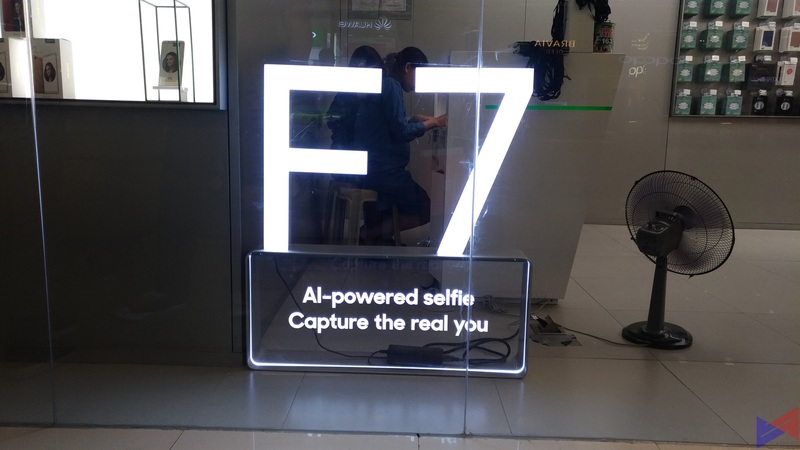 There’s still some specs that we’ll have to find out, and no news as to when the OPPO F7 will be launched in the Philippines, but recently spotted ads and some notable adjustments in OPPO’s concept store in Megamall suggests that it’s coming very soon. At the time of writing, the documents have already been somehow “locked” from access at the source site, which could very well suggest its accuracy. Still, take this with a grain of salt. ASUS Opens Three Online Concept Stores in Lazada!